Our team has a huge knowledge of a wide range of sectors including Sales & Marketing, Accounts & Finance, Engineering, Technical & Procurement and General Recruitment in the Dorset and Hampshire area. They understand the daily challenges you face, and the type of people you need to help overcome them. Give us a call on 01202 424824 to see whether we have the right vacancy for you. Positions such as: Sales Director, Sales Manager, Field Sales, National Account Manager, Account Manager, Account Executive, Telesales, Telemarketing, Appointment Makers, Online Sales Advisors, Marketing Director, Marketing Manager, Marketing Executive, Branch Manager, Online Marketing, Digital Marketing, Marketing Assistant, Web Content and Web Designers. Read more about our Sales and Marketing Recruitment division. Positions such as: Finance Director, Financial Controller, Accounts Manager, Management Accountant, Credit Controller, Accounts Assistant, Accounts Administrator, Purchase Ledger, Sales Ledger, Bookkeeper, Payroll, Payroll Assistant, Financial Advisor, Independent Financial Advisor, Financial Consultant, Corporate Consultant, Paraplanner, Mortgage Advisor, Financial Administrator, Compliance, Finance Project Manager, Internal Audit and Business Risk Manager. Read more about our Accounts and Financial Recruitment Services division. 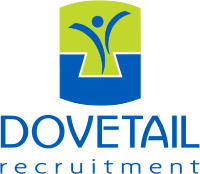 Positions such as: Administrators, Sales Administrators, Customer Service Co-ordinators, PA’s, Personal Assistants, Secretaries, Office Managers. Read more about our HR and General Office Recruitment division. Positions such as: Materials Manager, Purchasing Manager, Supply Chain, Inventory, Buyer, Operations Manager, Progress Chaser and Expeditor. Read more about our Technical and Procurement Recruitment division. Positions such as: Maintenance Engineers, Logistics Manager, Electrical Engineers, Warehouse and Transport Managers, Project Engineers, Project Managers, Sales Project Engineers, Test Engineer, Electronics Engineer, Field Service Engineer and Mechanical Engineer. Read more about our Engineering Recruitment division.